The Tuna Fishing has been good. But it looks like someone let the news slip to the sharks! Just look at this picture taken yesterday of one of our Charter’s catch! They had a great day catching Yellowfin and a small Bluefin; but the Sharks were definitely trying to beat them to the bite. 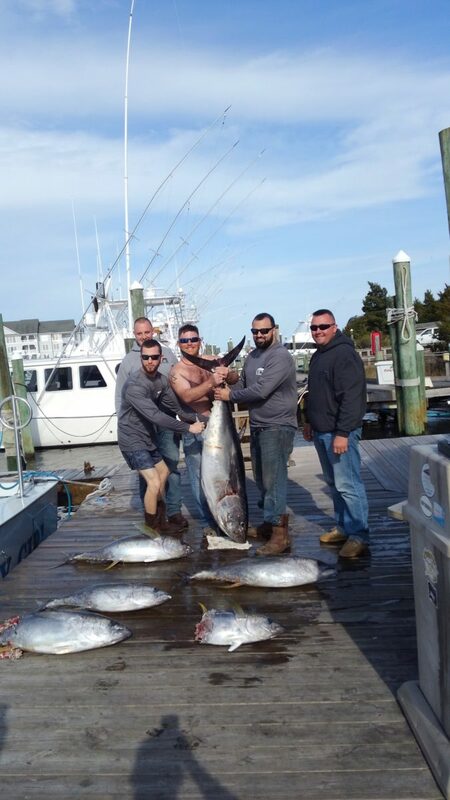 No complaints though – they had a blast and still had quite a nice tuna haul. Want to get in on the action? Give us a call at (252)473-3906 or Book Online! We’d love to help you with your next Fish tale!